I had a delicious pineapple wine the other day from a local Florida winery and that got me thinking, what about a pineapple sangria?! Yes! 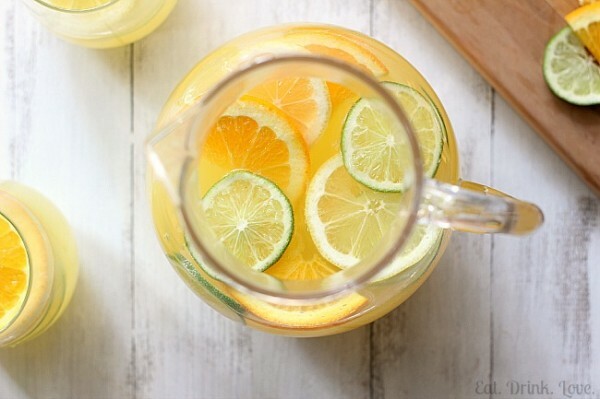 In a large pitcher, stir together the wine, Sprite, pineapple juice, and the orange juice. Then gently stir in the slices of fruit. Soaking citrus fruits for too long can result in a bitter taste. If you are not going to serve the sangria within a few hours of making it, we recommend waiting to add the fruit until you are ready to serve it.